In 1996, Dr. Oshana Beblis and I got together to discuss transcribing several compositions for string quartet that his teacher William Daniel had written. The compositions had apparently been composed so that William Daniel and his student could play together. I was asked to transcribe two pieces, "Sonata in F" and "Elegy", that had been written for two violins and piano. I was also asked to transcribe a piece later named "Assyrian Rhapsody" that had only been written for two violins. This required adding two new parts that hadn't existed before to make the piece viable for string quartet. Since the duo had no title, we agreed on "Assyrian Rhapsody". After those projects were completed, I was asked to write a three-movement string quartet using themes from William Daniel's output. This I did, using two thematic ideas for each movement and writing the piece around these themes, similar to theme and variations. The style I used is a more contemporary and Eastern sounding one than what William Daniel commonly wrote in. I called the piece "On Assyrian Mountains". That same year, all four pieces were recorded in a Tampa studio with members of the Florida Orchestra ("Bayside Quartet"). It wasn't until four years later, in 2000, that I was contacted again for another string quartet project. The task was the same one as with "On Assyrian Mountains", except that I had more themes of William Daniel to work with. Rather than using mostly thematic material from his songs, as I did with the first quartet, I chose more of William Daniel's solo piano output for the second. The new quartet, named "On Assyrian Plains", uses a very similar structure and style as its predecessor, except that the new thematic material lent itself to making this piece a bit more elaborate and sophisticated. "On Assyrian Plains" was premiered in St. Petersburg, FL, in 2001, as Dr. Oshana Beblis gave a fairly elaborate introduction at the concert. "On Assyrian Mountains" was also premiered in St. Petersburg, FL, but not until 2003. On both occasions the "Tampa Bay Composers' Forum String Quartet" did the honors. Peter Blauvelt was born in France and grew up in Germany where he began his studies in composition and piano. In 1975 he came to the U.S. where he studied at Harvard University in Cambridge, MA. There he received three degrees - including a doctorate in composition - and taught theory, composition and piano. Since 1968 he has often given recitals - not only of his own pieces - in the U.S., France and Germany in public and on the radio, and has received numerous prizes for both composition and piano. Meanwhile, his pieces have also been performed in other European and North American countries. 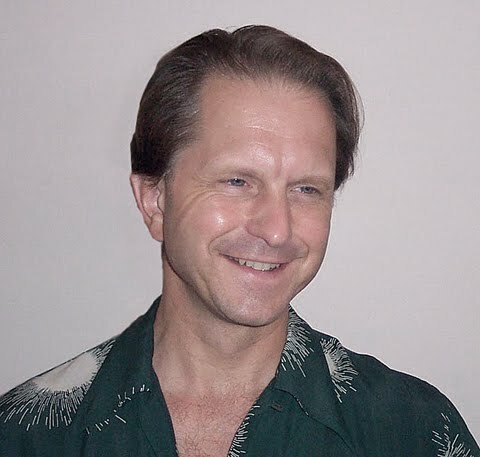 After leaving the Boston area for Florida in 1984, he co-founded the "Tampa Bay Composers' Forum" in 1989 and served as treasurer, vice-president and president. He also founded Creative Arts and Tutoring Services" in 1990. To date, he has written over 140 compositions, mostly chamber music, and has had over 100 of them performed in public. A number of compositions are also available on CD." In Mesopotamian Night 2008, "Nineveh" the classical song of William Daniel was performed by Lorraine Davis with the orchestra. In Mesopotamian Night 2009, "Vacant Nineveh" a choir song by Paulus Khofri was performed by Mesopotamia Choir Ensemble. 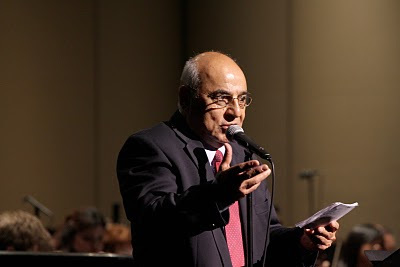 And this year, Fred Elieh's duet song "Nineveh" will be performed by the Mesopotamia Symphony Orchestra. The song will be performed by Fred Elieh and Helena Chanko and is being orchestrated by Edwin Elieh. Fred Elieh has been instrumental for organizing the Mesopotamian Choir Ensemble in our 2009 project. This year he played a key role to organize the back up singers for Walter Aziz musical. Helena Chanko was born in Sweden and moved to the United States at age 15. She started her singing career early on and began performing at the age of 14. She has a passion for for music not to mention a mesmerizing voice. 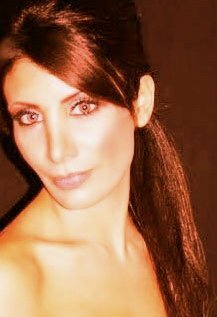 Helena has participated in other musical projects all for various causes and continues to be involved with the Assyrian Aid Society. 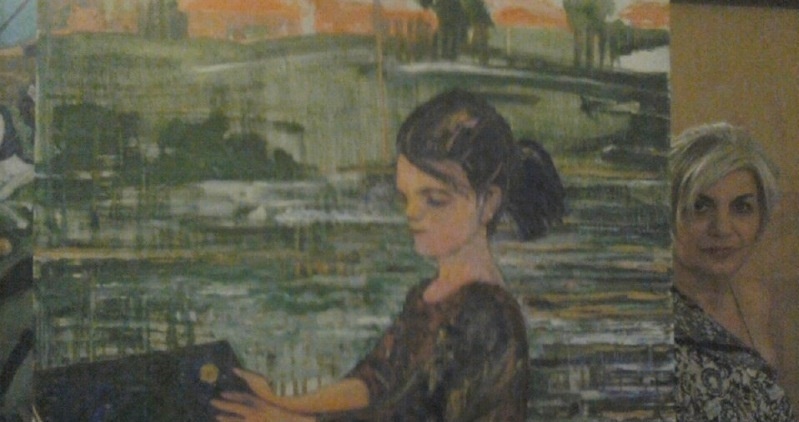 As previous years Juliet Moradian has contributed to Mesopotamian Night art auction. This year she is offering two pieces from her collection called “My Class”. Below she is sharing her thoughts with us about these paintings. Some people twitter. Some people film. Others take photographs, and put it on facebook. I like to paint to document moments, and activities that are not just a career for me, but they show how we can reach perfection, tranquility, love, beauty and balance. It is only through art that we express our self, but we must have the freedom. There are so many factors that need to be together all at the same time so that an artist is born and ready to create. I now have all the elements to start my collection. This collection will embody the past, the present and the future of the intellect of a nation. We have legends and myths of our ancient storytellers, but what has kept our history alive are the Bas relieves of the real people and real activities. My collection is called My class. It is a contribution to my professor Hannibal Alkhas, who brought the idea of modern art in to the middle eastern society, but he did not just settle for that, he befriended himself with all the poets of the modern language and worked non stop to help talents turn into artists as much as he possibly could, to make sure that there will be a guaranteed existence of not just the artist, but also art appreciation and art buyers so that the art work is preserved. The other purpose of my collection “My Class” is that it will be donated to the Mesopotamian night, so that this event can raise money to help art activities to grow. Painting is a very important element of the world of fine arts, and there are hundreds of talents out there who are in a desperate need of the opportunities to show us what they have on their minds, plus it is an excellent way of helping an ill economy. 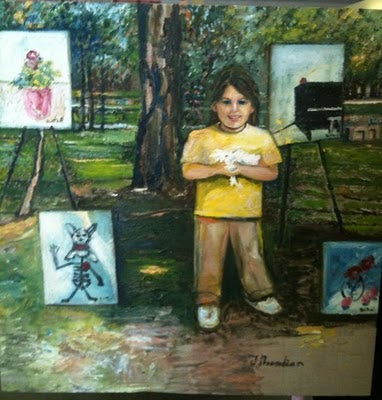 I started this collection in the year 2009 and I now have finished the two paintings that are ready to be auctioned. Assyrian girls showing their artwork. Thanks to our Mesopotamian Night directors who could see the urgent need of saving the well being of our nation's culture. Medium: Oil on canvas, 36" X 60"
Medium: Oil on canvas, 24" x 24"
Ninos and Shamiram, a cantata for soprano, tenor and orchestra, by the French composer Michel Bosc, set to the poem by Yosip Bet Yosip, highlights the classical portion of the Mesopotamian Night gala performance. The cantata, sung in Assyrian, recreates a memorable musical portrait of tender love between the Assyrian nobleman Ninos and the beautiful shepherdess Shamiram. 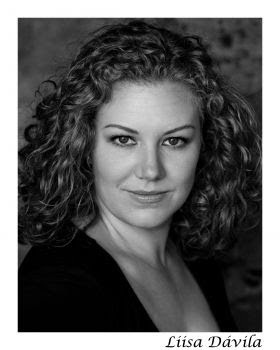 Soprano Liisa Davila sings the role of Shamiram. She spoke with Obelit Yadgar about the cantata and her role as Shamiram. Obelit: You’ve sung numerous roles, mostly in Italian, but Ninos and Shamiram is in Aramaic, the language of the Assyrians. How does the soprano’s tongue adjust from a romance language to something that is completely different? Liisa: This will be my first time learning to sing in the Assyrian language and I find this to be an exciting opportunity. Part of a singer's training is to learn how to sing in many languages that are used for the standard operatic and art song repertoire. We are taught to use the International Phonetic Alphabet (IPA). That helps us to break down sounds we hear into symbols and that in turn helps us to create the sounds needed for each language. I use the IPA in all of my studies of standard repertoire languages (French, German, Italian, English) and in other languages as well, such as Japanese, Finnish, and Greek. I certainly plan on using my knowledge of the IPA to study Assyrian. Obelit: What are you doing to prepare your upcoming encounter with the Assyrian language? Liisa: By listening to the flow of the language. The most important job of the singer is to communicate the text and the meaning of the text through the melody. This is accomplished more easily when the flow of the language is understood. 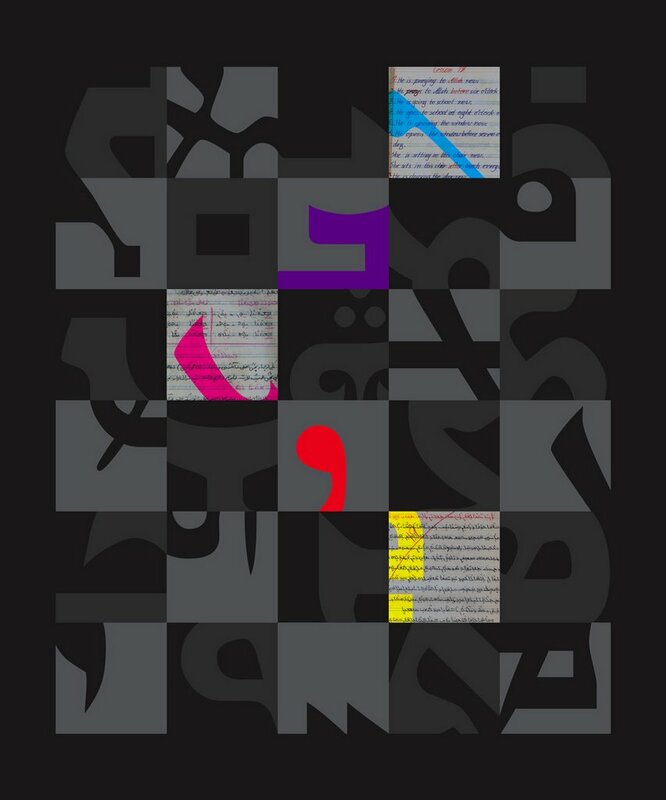 Obelit: Do you find the Assyrian language daunting? Liisa: I do not find the Assyrian language daunting. For me, it is an honor to have the opportunity to learn another language and to be introduced to another culture through its poetry. There is a different energy in learning another language through its poetry. There are greater nuances and insights into a culture through its poetry. I have had a love of languages from an early age. It is a personal joy for me to learn Assyrian. Obelit: In dealing with the Assyrian language, what approach will you take to understand who Shamiram is? Liisa: In understanding Shamiram I look directly to the poetry and how she is expressed through the poetry. Her responses to Ninos are most telling about her character. Obelit: Is Shamiram a much different character from some of the other memorable romantic heroines, such as Mimi (Puccini’s La Boheme), Cio-Cio-San (Puccini’s Madama Butterfly), Violetta (Verdi’s La Traviata) and Manon (Jules Massenet’s Manon), among others? Liisa: Shamiram's story is quite different from that of some of the leading ladies of opera. There are not many stories of heroines who come from such humble beginnings as does Shamiram and that grow to become a queen. Though her story is one with great extremes, she holds the same strength as any leading heroine of opera. Obelit: Colorful historical legends of the Assyrian queen Shamiram draw a wide range of images of her. How do you see her in these images? I am sure you have some familiarity with them. Liisa: I have read a few accounts of the stories of Shamiram. In all of the accounts that I have read she has strength of character that defines her through all of her trials and interactions with others. One must have a certain sense of strength and of survival to experience being on her own from an early age. I am sure at times she felt very alone and found her own courage that ultimately raised her to become a queen and a ruler of the Assyrian nation. Obelit: What is your perception of Shamiram, the beautiful shepherdess, in the cantata Ninos and Shamiram? Liisa: I find the poem to be so lovely. Both Ninos and Shamiram are portrayed in a very positive light. Shamiram's responses to Ninos are gentle and very smart. She has a great sense of self and does not shy away from meeting the prince, Ninos, but speaks to him with a clear sense of self. This shows that her character is strong, which leads to her strength in other situations. Obelit: How do you view Ninos? Liisa: From the poetry, I view Ninos as a kind prince who is in search of beauty. Obelit: As an operatic character, how significant is Shamiram when placed on the same stage as Mimi, Cio-Cio-San, Violetta and Manon, among other heroines? Liisa: I find Shamiram can compare to the great heroines of the classic opera repertoire. She is smart and has the strength that is present in all great heroines. She is a queen and has her own dreams and aspirations. Her story is quite dramatic and has so much material that is worthy of opera. It is exciting to see part of her story being told. Obelit: What are your thoughts on Michel Bosc’s music and Yosip Bet Yosip’s poem for Ninos and Shamiram? Liisa: Michel Bosc's music is very expressive and creative in telling the story of these two characters. I love the poetry, which is also very expressive. When I first read the poem, I found myself transported to the hill where Ninos meets Shamiram. That depicts the scene very well and captures a true feeling of "love at first sight." Obelit: Has this Assyrian cantata paved the way for you to consider other roles in Assyrian should they be offered to you? Liisa: Absolutely. After learning a bit of the language of the Assyrians it would be great to extend my experience to another opportunity to express music from this culture. There are always stories to be told and music to be heard. As a musician and a singer, it would be exciting to be a part of another Assyrian project in the future. 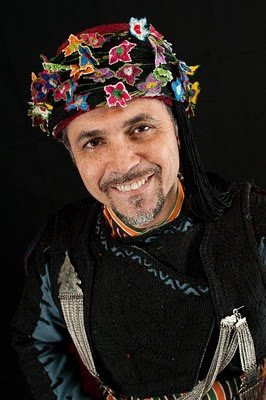 In cooperation with Sherene Melania, the principal choreographer and artistic director of the Presidio Dance Theatre, Mr. Ahmet Luleci an internationally renowned ethnic choreographer is joining us as a co-choreographer for Mesopotamian Night 2010 musical event. Ahmet is a native of Turkey. He is an accomplished choreographer, dance teacher and performer as well as a researcher of Anatolian culture. Collage allows him to further his goal of making folk dance and music accessible to a wider audience. Ahmet was presented with the 2002 Award for Outstanding Achievement in the Arts & Humanities by the Assembly of Turkish American Associations. His choreography was awarded the gold medal at the Hong Kong Open dance competition in 2004 (performed by Budlet Dance Company) as well as the first prize at the ethnic dance competition in Germany in 2005 (performed by Elvan Dance Company). Since arriving in North America in 1985, he has taught many workshops and camps throughout the United States as well as Canada, Japan, Taiwan, Hong Kong, Holland, England, Switzerland, Brazil, Argentina, Germany, Norway, Italy and Australia. He has set innumerable suites of dances for the stage working with dance organizations around the world. Some of the notable performing ensembles with whom he has worked include AMAN of Los Angeles, BYU dancers of Provo, BUDLET of Hong Kong, LES SORTILEGES of Montreal, and VINOK of Edmonton. In his native Turkey, he choreographed for HOYTUR, TURHOY and GEHEM of Ankara, ANADOLU UNIVERSITESI of Eskisehir, BUTFOD of Bursa and FOLKTUR of Istanbul. In 1991 Ahmet joined the Artistic Staff of AMAN as resident choreographer. Prior to his departure for the US, Ahmet also served as Director of Dances for HOY-TUR, long considered Turkey's leading dance association. Since the age of eight he has danced with numerous school ensembles and private associations, many of which won outstanding awards in city-wide and National-International competitions. Between 1973 and 2003 he participated in International dance festivals & competitions throughout Europe and North America. In edition, him and his ensembles appeared in more than 60 programs broadcast nationally in countries such as Turkey, France, Denmark, the Netherlands, USA, Canada, Brazil, Japan, Taiwan and Germany. His college major was music, Ahmet's fascination with dance led him to conduct scholarly research into the historical, social and cultural background of the costumes and spoon dances from Turkey's Mediterranean coast. His efforts resulted in an exhaustive, 400 page study for which he was awarded First Place in the 1985 national competition in research on the folkdances of Turkey by the Turkish ministry of Youth, Sports and Education. In 1997 Ahmet completed a second degree in Fine Arts. By the effort of Mr. Christophe Mirambeau who is helping Michel Bosc with publication of his works "Ninos and Shamiram" vocal and piano scores book is published in France. If you are interested to get a copy contact us at aasacvcc@gmail.com. We are proud that Mesopotamian Night project has become a catalyst for the creation of new works related to Assyrian arts and culture. Congratulations to Rabi Yosip Bet Yosip, our charismatic composer Michel Bosc, and Mr. Christophe Mirambea. 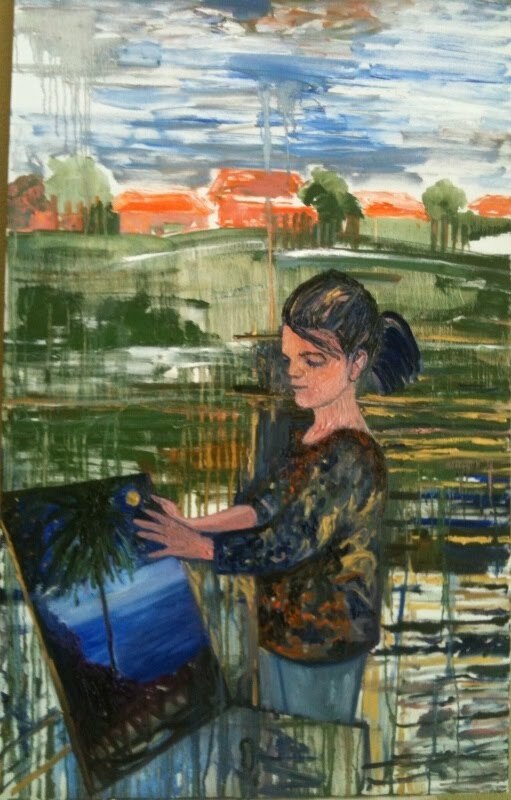 Sharokin Betgevargiz has submitted a new art work to be auction in Mesopotamian Night 2010 auction on August 21st. "Out of order, cropped and displaced, this piece examines the relationship of Assyrians with their Aramaic language, a relationship distinguished by a rich ancient history, a medieval Christain Syriac heritage, cultural values and customs, as well as survival from genocide, upheaval, assimilation, and current political and religious struggles in our homeland, Iraq." Last year the Mesopotamian Night project inaugurated the Mesopotamian Award series, given to exceptional individuals who have made lifetime contributions to the advancement of Assyrian art, literature, philanthropy, poetry, etc. The first recipient of our Mesopotamian Arts Award (Raab-Amne) was Rabi Issa Benyamin. It is our honor to announce that this year Rabi Daniel Dawid d'beit Benyamin is joining us to receive the Raab-Sayoome Award for his tireless effort in publishing The Journal of Assyrian Academic Studies over the past two decades and for his publications on poetry, history, and other subjects. We look forward to seeing Rabi Daniel in Modesto on August 21st. (a translation from an article in Assyrian published at http://www.meltha.dk/Daniel-interv-Assyr.pdf). The translation to English has been provided by William Warda). Rabi Daniel Dawid d’beit Benyamin was born on August 23, 1927 in the city of Mosul in northern Iraq. He was baptized that same year by His Beatitude Mar Avimalq Timatheus Metropolitan of Malabar and India. Rabi Daniel’s father was Dawid Somo d’beit Benyamin (1888-1967), and his mother was Khanim Yosip d’beit Kelaita (1898-1974). His family included one sister (Yonia) and two brothers (Yoab and Aprim). Rabi Daniel was the nephew of Shamasha Givargis of Ashita, the outstanding scribe, and of Mooshi Somo. Daniel attended the school of Qashisha Pample? (American Missionary in the city of Mosul) where his uncle Shamasha Givargis taught. He would later attend the elementary school known as al-Fallah, where Malpana Yousip d’Kelaita was the instructor of the Assyrian language and teacher of the Christian faith. Rabi Daniel’s father, Shamasha Dawid, was proficient in the classical Assyrian language and taught him daily at home from the Holy Books and their interpretation. Thus he inculcated in him the love for this language at an early age. From his infancy, Daniel was in constant daily worship at the evening prayers of the church (which took place in a room at the house of Qashisha Yousip d’Kelaita in Mosul). Rabi Daniel concluded his formal education in 1948. By the end of that year he was employed by the Iraq Petroleum Company in Kirkuk. During this time, he earned a Lower Cambridge Certificate of English language at the Company School. In 1954, his father along with his uncle Shamasha Givargis established the Nineveh Press by importing Assyrian language metal fonts from India. These fonts were manufactured under the direction of Shamasha Givargis when he instructed Indian priests and deacons in that country. At the Nineveh Press, Daniel and his father printed several books including two theological works. Three poems written by Daniel in the classical Assyrian Language were published in Gilgamesh magazine that was printed in Tehran, Iran, between 1952 -1961 by the brothers Addai and John Alkhas. He also enrolled 25 new subscribers for the magazine. In 1957 Rabi Daniel was sent to England by the Iraq Petroleum Company where he earned a Certificate in Stores Administration. After returning to Iraq he married Madeleine Geeso Tooma. They had three daughters and one son. In addition to his full time job at the Iraq Petroleum Company, Daniel assumed the sole responsibility for running the printing shop once his father became too old to work. In 1963 the Iraq Petroleum Company in Kirkuk promoted him to the position of Administrative Coordinator. At that time an American and Dutch consortium introduced computers in the Middle East, which made it possible for Daniel to learn about this new technology. Following his father’s death in 1967, Daniel left Iraq and began a new career in Kuwait. In his absence, his uncle Shamasha Givargis moved the Nineveh Press to Baghdad where he and his nephew Yoab (Daniel’s younger brother) published several new books. In 1981, Daniel traveled to Australia to visit his relatives and friends. Youaw Tooma Kanna, one of his close friends urged him to develop a typewriter in the Assyrian Language. After returning to Kuwait, Daniel designed the type faces of the Assyrian alphabet and traveled to Singapore to sign a contract with the Hermis company to have such a typewriter manufactured. However, due to the emergence of computer typesetting and laser printing, the plan to build the typewriter was abandoned. When in 1983 the first computer system capable of desktop publishing arrived in Kuwait, Daniel set out to design Assyrian fonts that could be used by computer to typeset the Assyrian script. He succeeded in writing simple computer software in 1984 capable of accomplishing this task. Rabi Daniel and his family relocated to the U.S. in 1988. They settled in Chicago, where he spent 3 years keyboarding into computer 70 issues of the Assyrian literary Magazine, Gilgamesh. In 1992, its 1014 pages were published as a book under the title; “Gilgamesh, Maghalta Sipraita Atouraita” (Gilgamesh, the Literary Assyrian Magazine). In 1989 Dr. Edward Odisho of Chicago who was publishing the “Journal of the Assyrian Academic Society”, asked him to serve as editor in chief of the Assyrian section of this publication. At the time only two issues of this Journal had been published -- one in 1986 and the other in 1988. The Assyrian section in these two volumes consisted primarily of reprints of writings by Shamasha Givargis of Ashita and William Daniel. Each of these two issues consisted of less than 100 pages, with only a few of them featuring the Assyrian Language, while the bulk was printed in English. The Journal at that time had less than 50 subscribers. Since then it has been published twice a year, consisting of approximately 160 pages, and it has hundreds of subscribers. The Assyrian section editorial team of the Journal consists of highly skilled and accomplished writers whose works are a matter of pride to the readers of our language. In 1993, Rabi Daniel was instrumental in creating a set of new Assyrian font system that is compatible with the True Type Fonts standards that function in the Microsoft Windows environment and related software. One of them, named “Assyrian”, is now in the format of “Unicode” and conforms with the latest technology. The rest of the fonts, including “Strangelo” will soon be available in Unicode format. They will then be available free of charge to anyone interested. Daniel has published a considerable number of wonderful Assyrian articles and delightful poems in the Journal and in his book titled; “Memri w’Mooshkhati d’Daniel Dawid d’beit Benyamin” (Articles and poems of Daniel Dawid d’beit Benyamin”). The determination of Rabi Daniel’s father to teach him reading and writing of the Classical Assyrian Language, and the writings of his uncle Shamash Givargis, instilled in him an abiding love for the Assyrian language and literature. Rabi Daniel presently lives in the city of Phoenix, Arizona (USA), where he continues to be active in advancing his lifelong efforts. Assyrians once were a mighty empire whose rule reached far beyond Mesopotamia. Their arts and sciences, their culture dazzled the known world and became the model for nations to emulate. Then, in 612 B.C., the Assyrian empire fell, never to rise again. The magnificent royal buildings, the great libraries, the massive temples that had symbolized Assyria’s greatness turned into ruins strewn with artifacts and slowly disappeared under the dust. In time Assyria became a forgotten address in the world’s book of nations. All gone. All except Assyria’s descendants who held their head high and embarked on a long and bittersweet journey to find a home of their own. What they took with them everywhere was their identity. Their national pride. Their culture. Their arts. I don’t know what the music of my ancestors sounded like: the laments, the drinking songs, the marching songs, the battle songs, the street songs, the love songs — I have no way of knowing. Assyrian traditional music heard today gives me a hint, but that’s about all. I have only a nibble when I am looking for a feast. I have only a drop when I am looking for a gusher. That the ancient Assyrians loved their music is evident in the love today’s Assyrians have for their music. After all, people do not change that much, really, not even over thousands of years. That goes for the Assyrians, as well. They really have not changed that much, except for their religion. Much like today’s Assyrians, my ancient ancestors must have loved to dance. Dance flows in our blood. Did the ancient, then, dance the khigga? The tolama? The shora? The hoberban? The tanzara? The word sheikhani is derived from bishkhana, meaning “warming up.” Legend goes that the Assyrian soldiers and hunters danced to some form of the sheikhani beat to warm up before going into action. I can only imagine that powerful picture. How far back the sheikhani goes in our history I don’t know. Nor do I know the ages of our other dances popular today. Are they hundreds of years old? Thousands perhaps? What is obvious is that often dancing is a descriptive but complex act performed to a certain type of music. I suppose you can also dance without music, especially if you’ve had one too many glasses of khamra. Ancient Assyrians must have had music to dance the sheikhani, khigga, tolama, shora, hoberban, tanzara, and who knows how many other dances that might have disappeared into the pages of history. It is that music which fires my curiosity. About which I often fantasize. I wish I knew what it was. What it sounded like. How it was played. And who sang it or played it. Perhaps our scholars know and I am no Assyrian scholar. Yes it is. And it does. Of course, the music of my ancestors I hear in my Assyrian soul. Always have. Always will. Yet, I would love to hear it with my ears as well, sung or played in a village somewhere in northern Iraq or in Urmia in northwest Iran. I can just imagine myself mesmerized by the music that in all likelihood is as close to the original that my Assyrian ancestors sang and played. Perhaps someday I shall. For now, I’ll take pleasure in the music of my ancestors in modern dress. 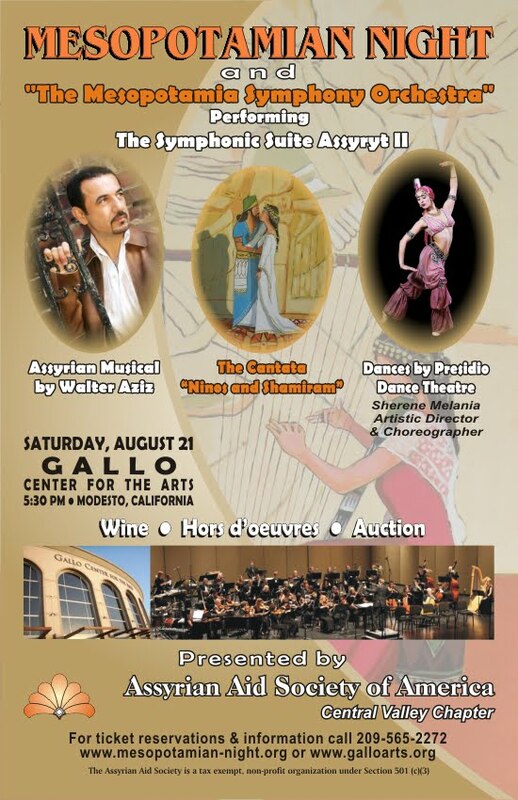 Please join me for this unforgettable experience at the fourth annual Mesopotamian Night gala concert and fundraising event, August 21, at the Gallo Center for the Arts in Modesto, California. The show’s first half spotlights Assyrian music in the western classical tradition, with the 50-piece Mesopotamia Symphony Orchestra conducted by John Kendall Bailey. The musical feast includes Assyryt Suite No. 2, an orchestral arrangement by the French composer Michel Bosc of Paulus Khofri’s works. Bosc’s Ninos and Shamiram, a cantata for soprano, tenor and orchestra, set to Yosip Bet Yosip’s poem, recreates a portrait of tender love between the Assyrian nobleman Ninos and the beautiful shepherdess Shamiram. George Somi’s orchestral suite The Assyrian Legacy and Sam Madoo’s arrangement of William Daniel’s music for string quartet round out the exciting first half of the program. Following a big auction of Assyrian art, the great Assyrian singer and song writer Walter Aziz sweeps over the Mesopotamian Night stage in the second half with an exciting fare of Assyrian popular songs, accompanied by the Mesopotamia Symphony Orchestra, and spiked with a hearty dose of ballet and dance, in sparkling Assyrian costumes, by the Presidio Dance Theatre, choreographed and danced by Sherene Melania. This is one of those rarities in the Assyrian performing arts that I hope can become a standard around the world. Our arts are a symbol of who we are as a nation, where we come from and where we are going. And like the arts of any nation, they need a willing audience, and often a helping hand. “Without music, life would be an error,” wrote the German philosopher Friedrich Nietzche. We Assyrians have always known that, for we have worn the rich history of our music on our sleeve, to take wherever we go. Obelit Yadgar has been called the intellectual force behind our Mesopotamian Night project. Read here his insightful new article about this year's Mesopotamian Night musical production. To say Walter Aziz could sing before he could walk is a safe bet. A safer bet yet is to say he was born with a loving song in his whistle — for his nation. Either way, this consummate pop singer has been on a musical journey for Assyria much of his life, entertaining live audiences around the world and recording one hit after another. Aziz lights up the Mesopotamian Night stage this year accompanied by the 50-piece Mesopotamia Symphony Orchestra, conducted by John Kendall Bailey, with members of the Mesopotamia Choir Ensemble directed by Fred Elieh, and dancers from San Francisco’s Presidio Dance Theatre, led by Artistic Director and Principal Dancer and Choreographer Sherene Melania. The Assyrian Aid Society of America (AAS-A) presents this fourth annual Mesopotamian Night gala performance and fundraising event August 21 at the Gallo Center for the Arts in Modesto, California. As in previous productions, the evening splits between classical and popular Assyrian music to entertain every taste. The show’s first half offers a feast of Assyrian classical music that includes Assyryt Suite No. 2, an orchestral arrangement by the French composer Michel Bosc of solo piano pieces by the late Assyrian composer Paulus Khofri. Using the poetic setting by Yosip Bet Yosip, Bosc takes off in a different direction with the cantata Ninos and Shamiran. The cantata, for coloratura soprano, tenor and orchestra, paints a portrait of tender love between the Assyrian nobleman Ninos and the beautiful shepherdess Shamiram. George Somi’s lush orchestral suite The Assyrian Legacy and Sam Madoo’s arrangement of William Daniel’s music for string quartet round out the exciting first half of the program. Following a big auction of Assyrian art by artists such as Paul Batou, Odette Tomik and other renowned Assyrians, Aziz and company take over the Mesopotamian Night stage in the second half with an exciting fare of Assyrian pop songs spiced up with ballet and dance in a riot of colorful costumes. “You’re in for a dazzling show of Assyrian popular music with Walter Aziz as never before experienced,” promises Tony Khoshaba, AAS-A Central Valley president and Mesopotamian Night producer. That all proceeds are destined to brighten the lives of Assyrians suffering a storm of tragedies in their homeland of Iraq makes the Mesopotamian Night gala production a must for Assyrians everywhere. Please join us, not only for the privilege of helping Assyrians in need but also for the experience of a memorable evening of music and dance emblazoned with Assyria’s proud signature. This is the dazzling portrait of Assyrian arts and culture blossoming in creative hands. With 10 songs, arranged and orchestrated by Edwin Elieh (no relation to Fred Elieh), Aziz sweeps across a musical spectrum of his big hits and lesser-known works. Dashta d’ Nineveh Deyan Eala (Nineveh Plain is Ours), Malikta d’ Khayee (Queen of My Life) and Atour Bet Khayah (Assyria Shall Live), among others, are sure to be crowd pleasers. Aziz also throws in two songs from his new CD, Assyrian Hope, due for release on the day of the concert. Much credit for the second half of the show’s Broadway musical air goes to Elieh’s arrangement and orchestration of the Aziz songs. Unlike Broadway musicals, however, starting with Oklahoma, the 1936 hit by Richard Rodgers and Oscar Hammerstein II in which each song carried the storyline forward, the Mesopotamian Night Assyrian pop musical revue is without a specific storyline. Aziz recalls that when Khoshaba asked him to perform with a symphony orchestra, he, Aziz, wanted to know who would write the scores and the charts. Khoshaba mentioned Elieh, a talented young Assyrian musician and arranger who currently studies film scoring at UCLA. Aziz remembered Elieh from playing the opening acts for some of the Assyrian weddings and parties he headlined. What also delights Aziz is the added dimension of ballet and dance to his music. He admits that aside from working with a symphony orchestra for the first time, working with dance is another new experience for him. Melania emphasizes that with the authentic and colorful Assyrian costumes, made by the Mariinsky Theatre in St. Petersburg, Russia, where she studied dance, as well as some made in Turkey, the Presidio Dance Theatre will bring the songs to life and give the audience a visual picture of the music. What’s more, she points out, this is one of those rarities where the orchestra shares the stage with the singers and the dancers, thus adding a further dimension to the concert. “It’s really a culmination of the performing arts at their finest,” she says. Two companies make up the Presidio Dance Theatre’s corps of dancers. The adult company, including principal Melania, has 12 dancers, and the youth company carries 40. For the Assyrian musical review, eight dancers each from the adult and the youth companies will perform. Melania is the principal soloist for the women dancers and Norberto Martinez the principal soloist for the men. Melania’s choreography, in addition to that by guest choreographer Ahmet Leleci of the Collage Dance Ensemble, headquartered in both San Francisco and Boston, will frame the Aziz songs in a colorful and brilliant blending of the East and the West.